Remember that alleged Samsung Galaxy Watch Active render which recently popped up? Well, now there's another one, and this could also tell us exactly when we'll see the new smartwatch. 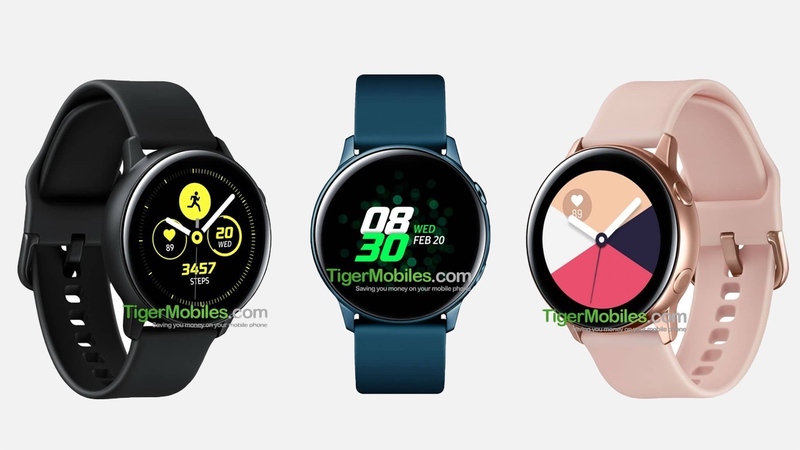 The folks at Tigermobiles.com have come across the latest render showing off a smartwatch in three new colors. Those colors are black, teal blue and pink gold. The latter is the most interesting here as it seems to adopt the same finish and look as the 42mm rose gold Samsung Galaxy Watch. Combined with the last leak, it looks like the Galaxy Sport, which may be called the Galaxy Watch Active, will come in at least four different colors. Aside from that, there's nothing in those watch faces to indicate new features. But what they do appear to give away is a date: two of the watches display 20 February on the face. That's the date of Samsung's Unpacked event, a strong hint that we'll see the new smartwatched announced there. So it seems like we don't have to wait too long before we can do away with the renders and see the real thing.Is Samsung going to ditch that rotating bezel? Will it introduce new Bixby features and ramp up its health and fitness features? We'll be at Unpacked to find out for sure.